The furniture that highlights your image and your products. Multiple elements to match among them, which allow to create permanent or temporary environments, using customizable materials and so easy assembly. The Modultex system blends the textile printing profiles, with fixing and lightning elements for give to your merchandise the maximum visibility. Our products allow adapting any space to the real needs of the product and market with agility and quality. Wide range of furniture for Retail and showrooms, and also stands solutions for create striking and well communicated elements. All this is because of their production in aluminum structures for textile printing and LED lighting. Support furniture for customer service, product display and storage. Improve products, integrate brand image and promote the best interaction with the customer. Light weight elements, are very easy to assembly and shipping. These are spaces for showing objects giving emphasis to their features, incorporating some interchangeable graphic supports and LED lighting. The systems for modular stands are made using aluminum profile for printed textile with silicone. They have multiple elements to complement the stand and also standard versions, to speed up your purchase and delivery. What can I do using Modultex range? Everything you need to install your outlet (POS) or stand you will find in the Modultex catalog of modular systems for customer service, exposition and decoration: showcases, counters, exposition furniture, gondolas, shop windows and other decorative elements. A wide range of complements, totally customizable that allow incorporate graphic elements and LED lighting. 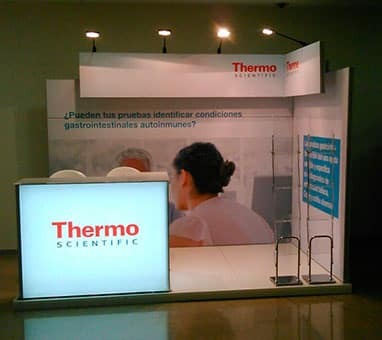 Modultex is a wide range of elements for exposition and decoration with standardized elements based on the most usual needs of the market, to speed up the purchase process for our customers, besides offering the best price. All this is developed by the different systems that Artplay has, as fast assembly and disassembly, interchangeable graphics, backlighting option with an infinite increase capacity. Are these structures easy to assemble? All the ARTPLAY’s visual support systems are fully detachable and easy to assemble. The products are delivered with assembly manuals and the referenced parts for help to hasten the operation. The electrical installations are provided fully protected, so you can connect them safely. Also in our YOUTUBE channel, you can view illustrative videos as how to manipulate each of all the product ranges we have in our catalog. Are they standard products or made to order? There are a set of standard products that work as basis for make them to order. The standard products are designed to meet the most common needs in the Retail and Fair sector, allowing our customers a fast and economical purchasing process. Can I build a stand with Modultex line? 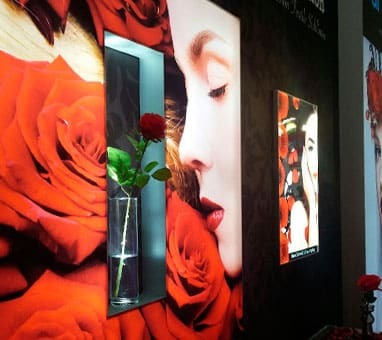 The solutions for stands by Modultex offer a great variety of shapes and finishes in curves and lines structures for printed textile graphics. 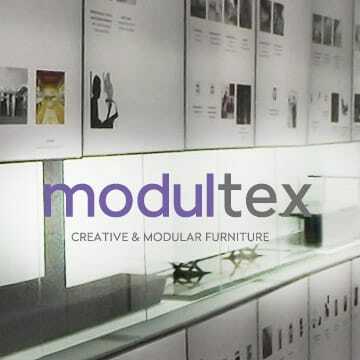 Modultex’s range of stands already includes a standardization of the eight most common shapes and sizes. 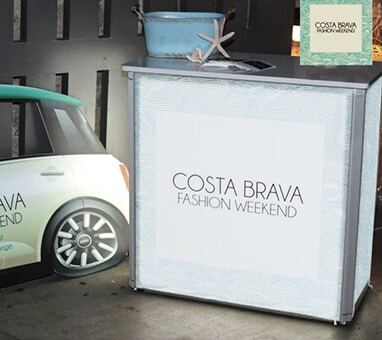 Each one has its modular spaces, including warning elements, lighting and transport, as well as fully customizable graphic elements in textile printing. All this is doing to fast the process from start to finish.